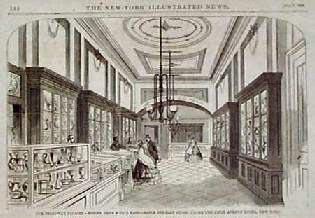 Antique Jewelry & Glass-Blowing Prints. 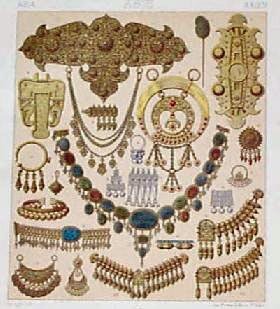 Colorful Gems and Precious Stones surrounding the Breast Plate of the Jewish High Priest. 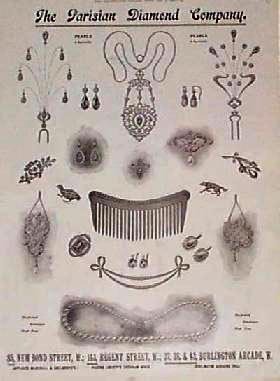 Bottom of image has a guide naming each jewel figure shown. Prepared under the direction of Geo. 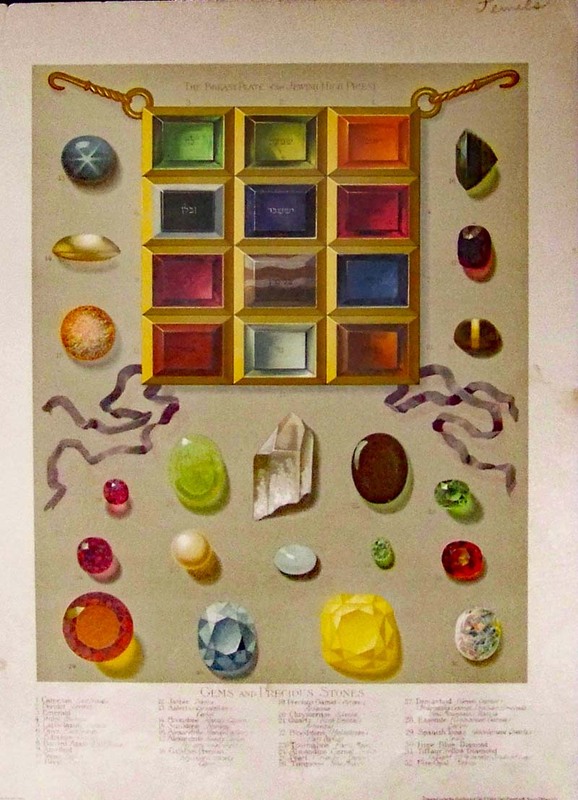 F. Kunz, Gem Expert with Messrs. Tiffany and Co.
1880 Asian Jewelry Print. 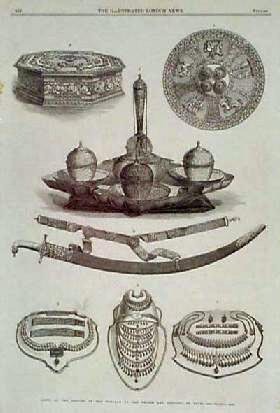 Color lithograph from an 1880 French book on jewelry design, showing numerous examples of Asian jewelry. 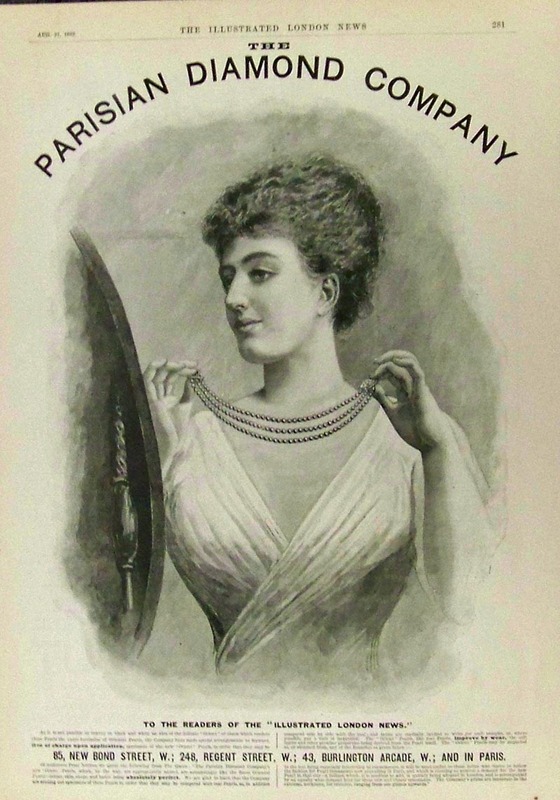 1892 Wood engraving featured in The Illustrated London News showing advertisement for the Parisian Diamond Company as a pretty woman puts on her 3-stringed pearl necklace her adoring husband just gave her for their anniversary. 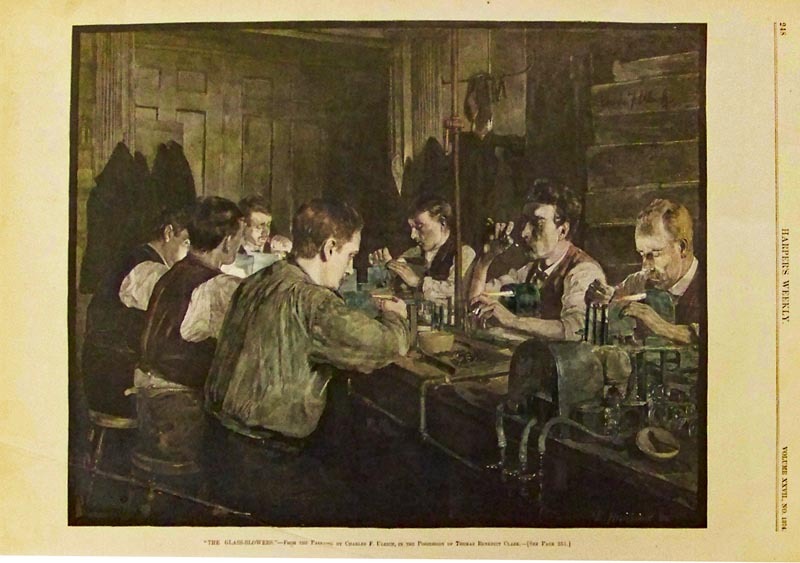 1883 Hand colored wood engraving from Harper's Weekly titled, "The Glass-Blowers." 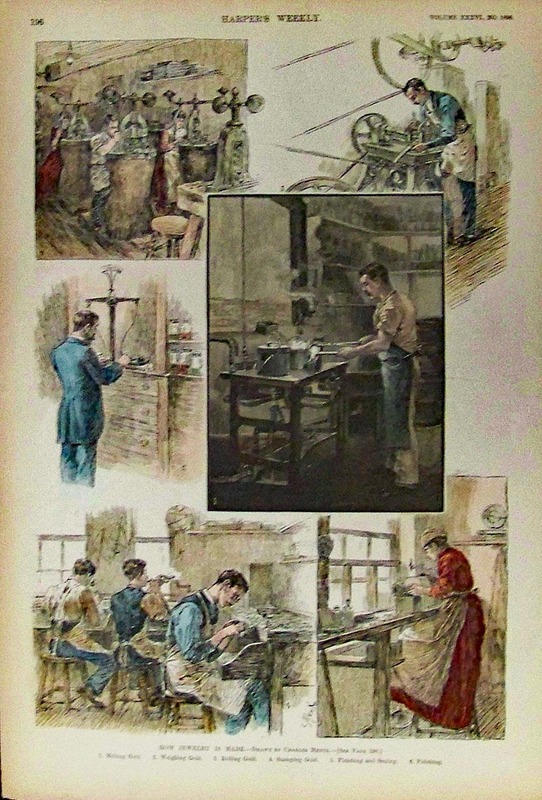 1892 Harper's Weekly hand colored wood engraving captioned, "How Jewelry is Made." Drawn by Charles Mente. Each image shows the steps in order of processing gold: 1. Melting Gold; 2. Weighing Gold; 3. Rolling Gold; 4. Stamping Gold; 5. Finishing and Setting; and 6. Polishing. 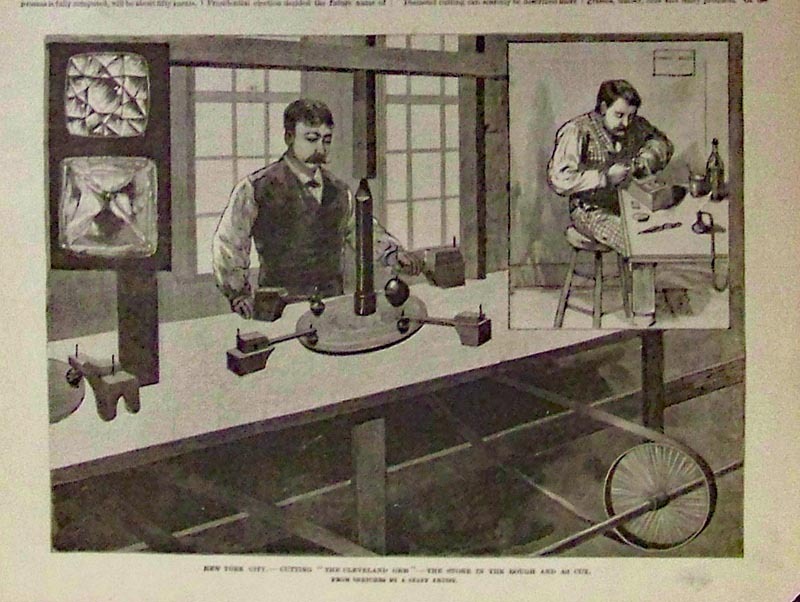 1891 Scientific American wood engraving captioned, "Diamond Cutting By Hand and Machine." 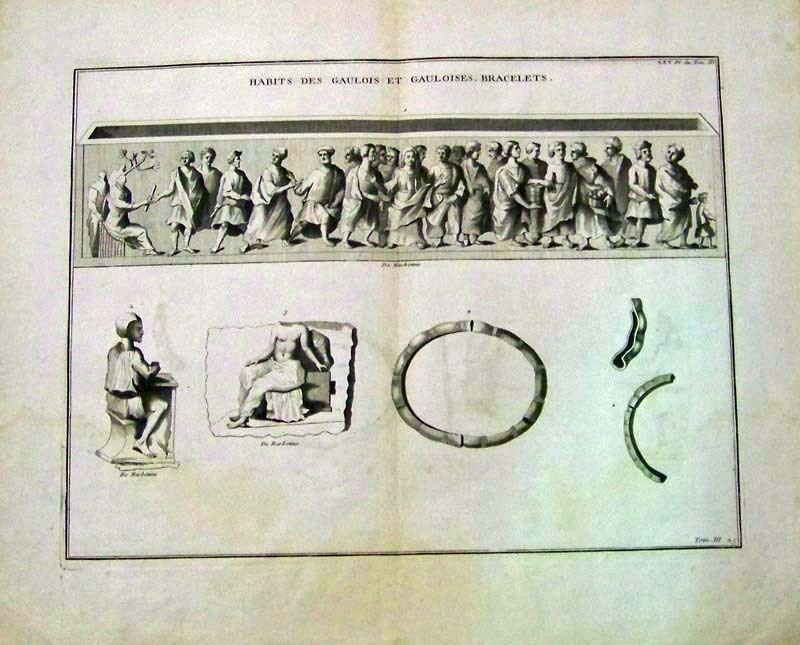 Images show cleaving, polishing, hand cutting and the Field machine diamond cutting. 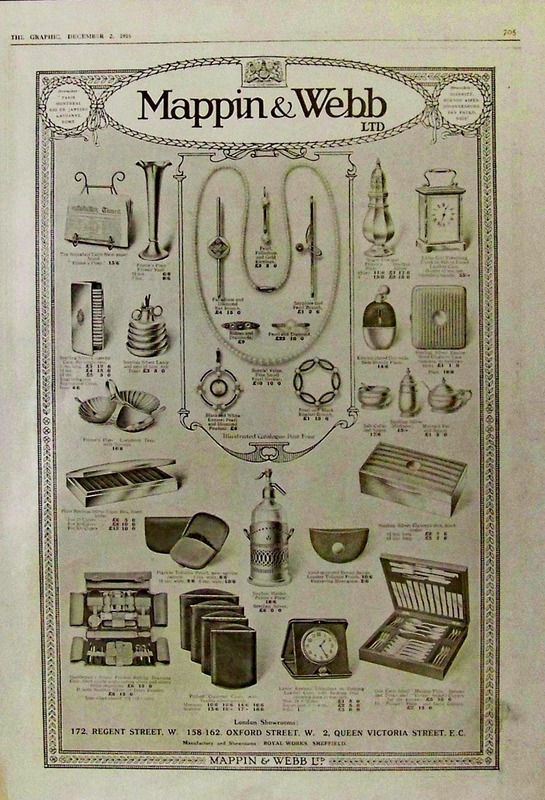 1916 Mappin & Webb Ltd. advertisement featured in The Graphic showing their jewelry and other fine products. 1901 Halftone advertisement featured in The Illustrated London News for The Parisian Diamond Company. 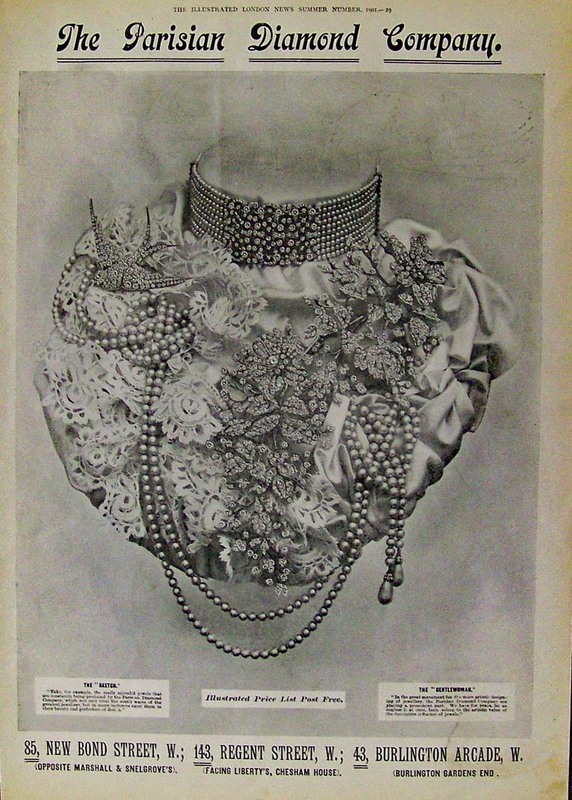 Image shows a lacy covered bust adorned with lavish double-stranded pearls. 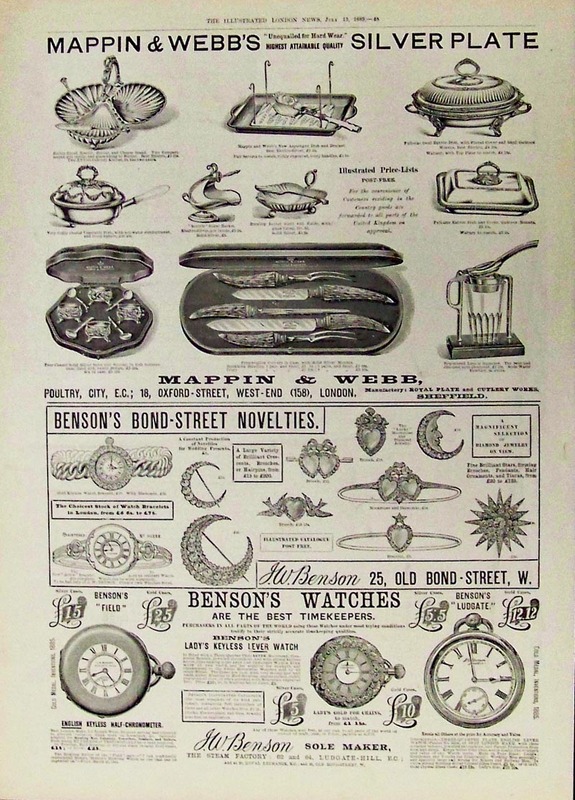 1889 The Illustrated London News advertisement for Mappin & Webb's Silver Plate items which include a richly fluted butter, bisquit and and cheese stand. 1884 Wood engraving featured in Frank Leslie's Illustrated Newspaper. 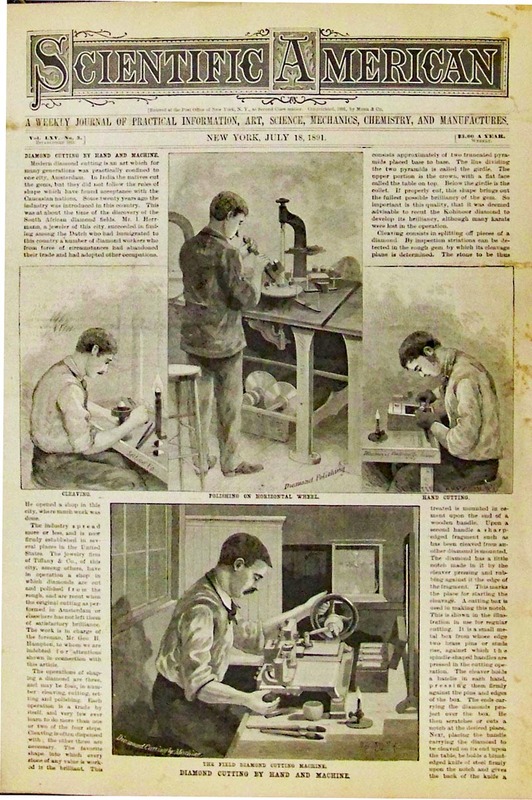 Image caption reads, "New York City, -- Cutting the "Cleveland Gem" -- The Stone in the Rough and as Cut."